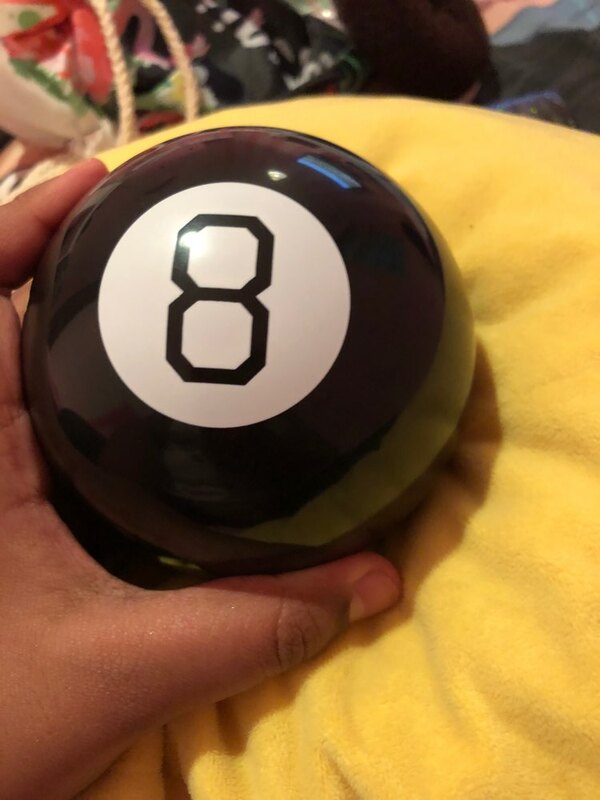 The Magic 8 Ball is a novelty pool ball, that could have the answer to life, the universe and everything. Well maybe? 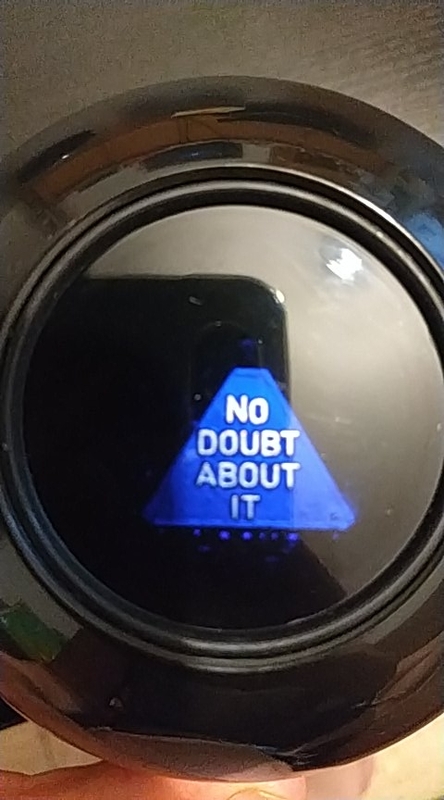 Apparently the Mystic 8 Ball is very popular in America, appearing on TV shows in comedy and drama programs. Does it mean that its really magic? Well, no actually, although there is something a bit odd about this over-sized black pool ball! So how does it work? Well, ask a random question, give it a shake, and turn it over. The reply appears mystically on the porthole display. So while I am writing this, these are the questions I have asked:? Are you really magical? it replied.. Too early to predict? 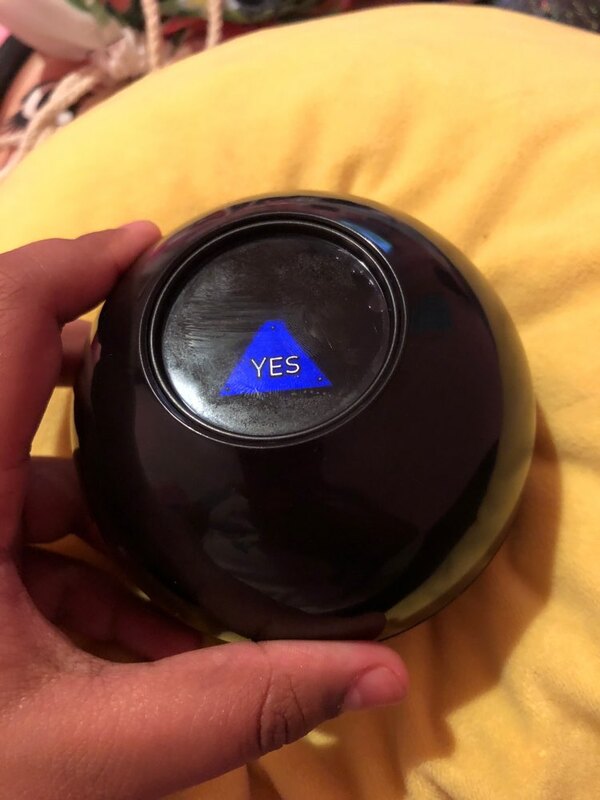 Will England ever win the world cup again? it replied.. are you kidding!!! So in that weird way that completely random answers are correct some of the time, I guess it does kind of work! Once you have used it a few times, you can keep it for when you need to make a decision. 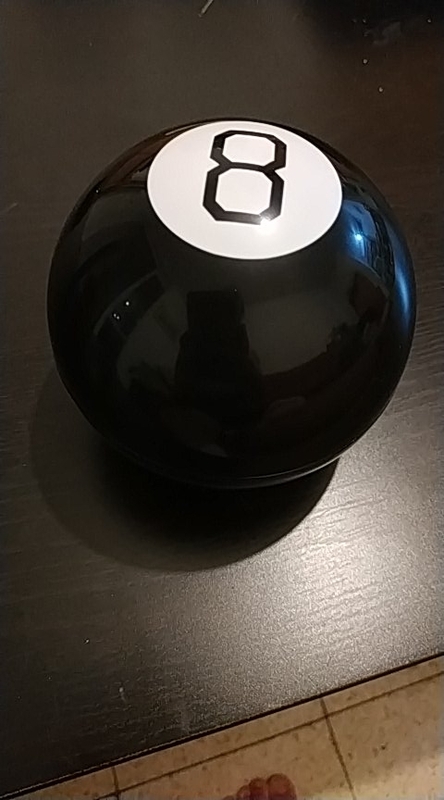 It also doubles as a paperweight, and as it looks like a giant 8 ball from a pool table, its oddly cool. Well almost! The Mystic 8 Ball is an oversized novelty sporting whatnot. 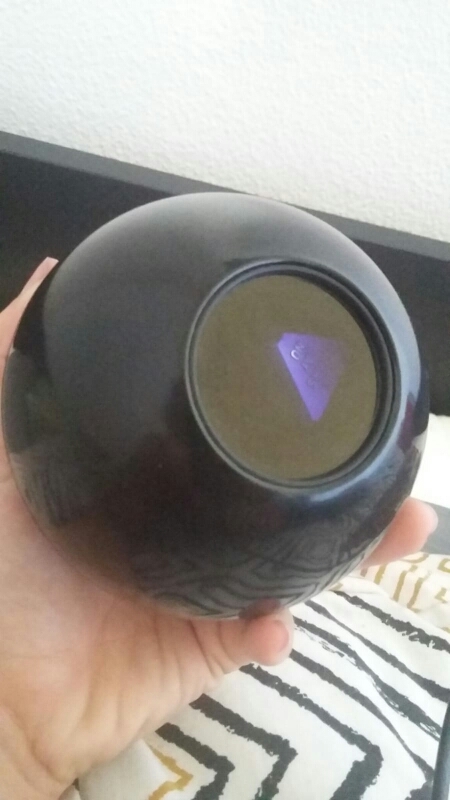 The Magic 8 Ball has all the answers. Ask a question, turn over the ball and your answer magically appears on the porthole. More than 15 possible answers to yes or no type questions. Let the ball make your decisions. Shaped like pocket billiards 8 ball. Great for parties, office desk toy, kids and adults. Does not work good. I am disappointed.